Over a decade of research, advocacy, and international collaboration was rewarded in July with the designation of a new World Heritage Site: the globally important, but little known, Landscapes of Dauria, stretching across the Russia-Mongolia border. A landscape of diverse ecosystems, ranging from wetlands and floodplains to grasslands and pine forests, the Daurian steppe covers more than one million km². 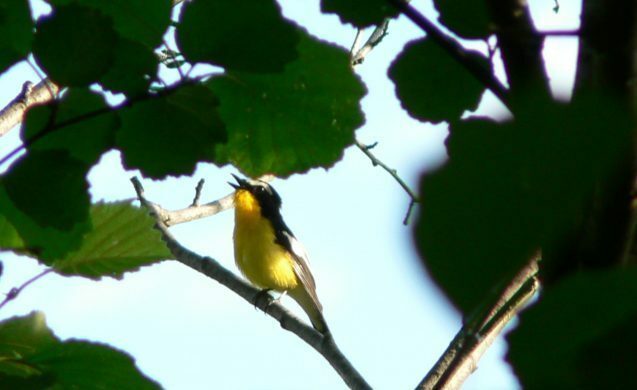 Its habitats are home to a diverse array of resident and migratory species — including six species of crane, Pallas’ cat, and Mongolian gazelle — many of which are threatened with extinction. The newly designated Landscapes of Dauria World Heritage Site, straddling the Russia/Mongolia border, extends to 9,126 km². Its fifty lakes form a crucial stopping point for three million migratory birds making their way along the East Asian-Australasian flyway each year. World Heritage Site designation is a major step forward in the region’s conservation, and was celebrated by Eugene Simonov, who has been championing Daurian conservation since he led a project funded by the Conservation Leadership Programme (CLP) in 2008. Eugene’s project focused on the importance of one of the Dauria’s rivers, the Argun, for threatened bird species including the red-crowned crane, great bustard and greater spotted eagle. 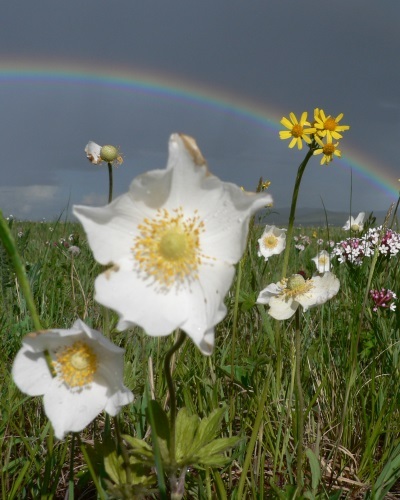 It also spearheaded work to connect the Argun River with the Dauria International Protected Area, and promoted a cohesive, large-scale approach to conservation and ecosystem monitoring, actions that helped pave the way for the successful World Heritage Site nomination. ‘The CLP-funded Dauria Birds and Wetlands Project played an important role in supporting cooperation between Chinese, Russian and Mongolian conservationists and developing the wider plan of conservation measures in the Dauria Wetlands,’ Eugene said. 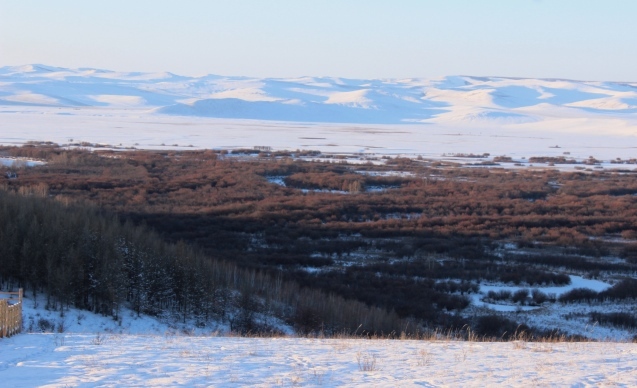 The World Heritage Site nomination process was led by Dr. Olga Kiriliuk and supported by research staff, including Eugene, at Daursky Biosphere Reserve in Russia, near the Mongolian border. Several of those involved had participated in earlier CLP-funded work, and the Daursky Reserve is now part of the new World Heritage Site. The Dauria has characteristic 30-year cycles of rain and drought, which is one of the reasons behind the region’s unique biodiversity: species have had to adapt, not only to the physical transitions between ecosystems, but also to the dramatic changes that take place within ecosystems over time. But this natural cycle is seriously affected by water-intensive mining activity and water diversion projects, which together pose the greatest threats to the Dauria biome. As the Dauria’s rivers flow between Mongolia, Russia and China, international cooperation and collaboration is crucial. Addressing the need for international collaboration, and setting their sights beyond the Dauria alone, Eugene and his team built on the success of their CLP project by initiating Rivers without Boundaries. This is a network of ‘organisations and experts dedicated to preserving the health of transboundary river basins in northeast Eurasia.’ For this, Eugene received the prestigious Whitley Award, which supported further protection of Dauria rivers. But while motivated to look to the future, Eugene has also enjoyed revisiting sites of earlier success. The first CLP project ‘confronted a plan to build a large coal mine in the Erguna River Wetlands,’ he explained, before recalling a family trip — with CLP-project colleague Dan Hanisch — to the same site in January this year. Instead of a coal mine, ‘Erguna wetland nature museum was built in [the nearby town of] Labudalin,’ he said. ‘Our children could not understand why their parents peered with great enthusiasm and satisfaction into absolutely empty white floodplain,’ he said, reflecting on the untouched riverine landscape which sits on top of the untapped coal deposit.